WHEN the Marvel Cinematic Universe was still in its fledgling days, audiences were given a film dealing with brotherhood, disapproving fathers and a God striving to be something better. THOR (2011) introduces us to the God of Thunder (Chris Hemsworth), Asgard and, more importantly, Loki (Tom Hiddleston). The God of Mischief is Thor’s quiet, calculating brother who is always at the sidelines of whatever bombastic action Thor is engaged in. He never speaks out of turn but always manages to manipulate either side of an argument, like the one that erupts between Thor and his father, Odin (Anthony Hopkins). Thor is about to be crowned the new King of Asgard and the Nine Realms, until a group of Ice Giants break into Asgard, halting the ceremony. When Thor violently takes revenge on them, Odin deems him unworthy and banishes him to Earth. It is revealed that Loki has been the one plotting and scheming to usurp Thor before he can take the throne. He wants to take control for himself. Over the course of the franchise, we see that this is not because he hates Thor, it is out of pure envy. In the first film we see him as the black sheep of the family, everyone knows that he is a cunning trickster. But there is a lovable quality to him, largely down to his humour. As he progresses into a puppet-villain during AVENGERS ASSEMBLE (Joss Whedon 2012), we learn that the envy coiled inside Loki has warped into pure hatred. The initial envy is what drives Loki to align himself with the Mad Titan, Thanos (Damion Poitier), who will finally appear in more than just a post-credits scene during AVENGERS: INFINITY WAR (Anthony Russo and Joe Russo 2018). 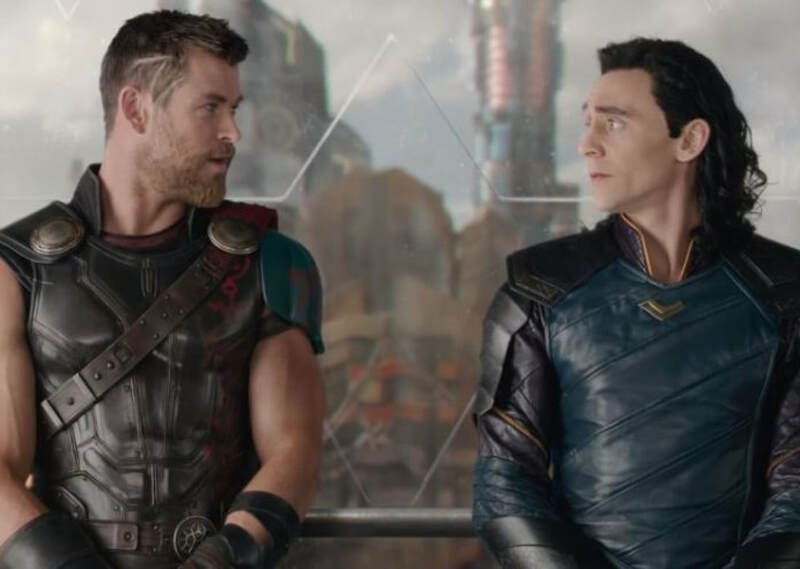 Although the Norse God’s sequel THOR: THE DARK WORLD (Alan Taylor 2013) was met with harsh reception by fans and critics alike, it had one redeemable feature: the development of the relationship between the two brothers. For a brief moment, it seems as if Loki has truly overcome the envious nature that accounted for most of his actions after the death of his mother, Frigga (Rene Russo). He sacrifices himself to save Thor in a fight with the film’s forgettably bland villains, the Dark Elves. Or so it seems. It is clear that when Loki is freed from his Asgardian prison, he has lost his sense of purpose in the world. Clearly he thought he would be ruling Earth as a God at this point, not locked away on Asgard. So his relapse becomes all the more severe once he is freed. After the seemingly impressive level of character development written into the film, the ending sees Odin usurped from the throne as Loki takes his place using his tricks of illusion. But Loki’s journey takes an intriguing turn during THOR: RAGNAROK (Taika Waititi 2017), the third film detailing the Asgardian’s solo adventures away from the Avengers. The brothers embark on something of a cosmic road-trip to find their father and save Asgard from impending doom. It is less about Loki’s envy during this instalment, but his redemption. It is at this point the trickster realises that he needs to pay for his sins and willingly helps in the fight against Hela (Cate Blanchett), the Goddess of Death. Although it was his envy that drove him down the path of villainy, it ultimately led to a realisation that, given the right motivation (the threat of Asgardian genocide for example), Loki has the potential to be a force for good. How long that lasts once Thanos (Josh Brolin) makes his assault on Earth’s mightiest heroes during AVENGERS: INFINITY WAR, remains to be seen.